I joke that the six most dangerous words in my home are "I saw this thing on Pintrest" Well, that is what Margo did. She saw what someone called a rag quilt, and thought that it looked cool. I was very impressed that this 4' x 5' quilt was started on a Friday night and completed on Sunday morning. 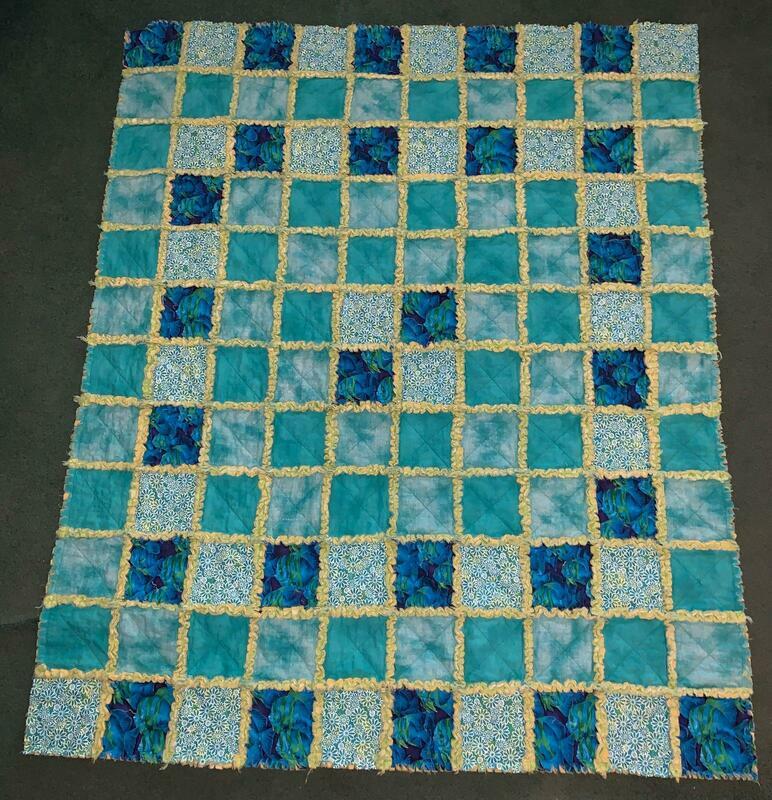 That included cutting the square, sewing them together, then putting in the 100s of snips that gave the quilt and square borders their frayed look.